there mum and dad can stay in the sand. 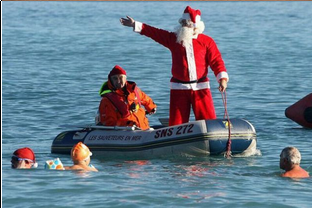 While the boat was still staying were the kids were a shark bite a hole on the bottom of the boat so the boat sank santa jumped out with his nice clothes he swims all the way to the sand for help. He gets taken back to his house in are cool car to change and the boat driver was defined to. Santa got saved everyone was blessed that santa got saved and he is ready to give some more christmas present.